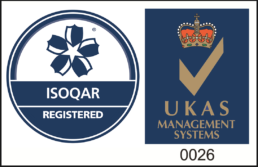 Incremental Group has been certified compliant with ISO9001:2015 and ISO27001:2017, the internationally recognised quality and information security management systems. Our quality systems provide the business with strong foundations. We have robust delivery processes and continually work to improve quality and service. We follow information security best practice and our data is adequately protected. Cyber-attacks are increasing in volume and strength, and the financial and reputational damage caused by an ineffectual information security posture can be fatal. Implementing an ISO 27001-certified information security management system helps us protect ourselves and our customers against such threats and demonstrates that we have taken the necessary steps to protect our business. Having and demonstrating robust quality and security practices is a priority to us and important for our customers.